The holy, glad day of the Lord's resurrection has shone forth today to all. Let us rejoice, brothers and sisters, for this is the day the Lord has made: the mother of all good days, the origin of immortal life, the beginning of all our glory. Therefore, on the day of this solemnity so venerable, let us offer congratulations both to Christ and to ourselves. To Christ, I say, who, after the victory of the cross, brought back spoils from his enemies ... to ourselves, because we now see the likeness of our future resurrection and gaze upon the sight of our hoped-for glory in Christ. 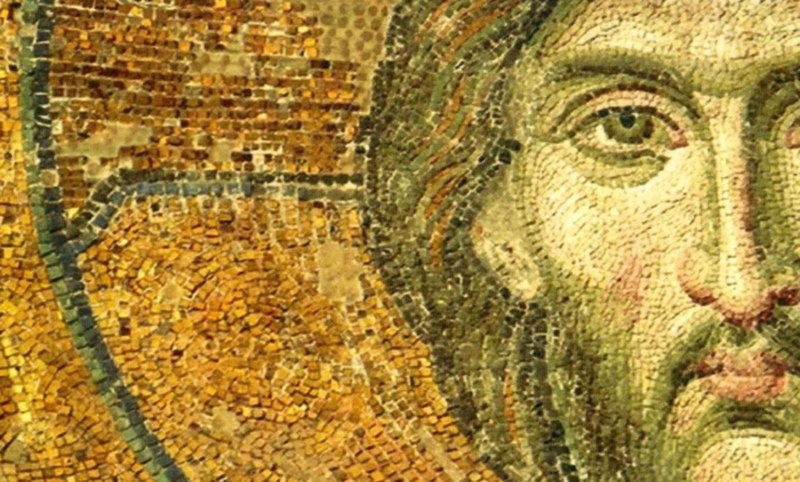 It is our glory that we consider; it is our beauty that we venerate; our resurrection has begun in Christ and will be brought to completion in us in his time. We are now travelers on a journey. We cannot stay in this place forever. We are on our way, not yet home. Our present state is one of hopeful anticipation, not yet unending enjoyment. We must run without laziness or respite so that we may at last arrive at our destination. The theme of the abuse of minors is an enormous tragedy and a tremendous scandal. It is even more tragic when it occurs within the Church. These actions confront us and hurt us deeply, while asking for courageous answers. Abuse calls for the demand of justice. … The Order of Saint Augustine wants to express it support for the steps made especially by Popes Benedict XVI and Francis. We wish always to live in communion with the Church in such a way that all of us work together to banish this abominable sin. … I would like us, as members of the Order of Saint Augustine, to commit ourselves to work decisively to defend the lives of the vulnerable in the face of unscrupulous abusers who take away their dignity. After years of living a pagan lifestyle and searching for the meaning of life in various ideologies (Manicheanism, Neo-Platonism, Skepticism), Augustine finally came to the Christian point of view. Thereafter, the spiritual life of a human being meant one thing for him: the attempt to arrive at union with that person who was All-Good: the infinite, immutable God. But where in this life is that God to be found? God's primary place (if that is a proper word) is in that immense realm beyond time, an area far removed from human experience and impossible to reach as long as we continue our pilgrimage on earth. The very fact that we are "pilgrims" is a sign that we have not yet arrived at our destiny. Where then are we to find God in this world? Spirituality is one of those impressive words that is sufficiently vague as to mean anything you want. In its most broad sense it can encompass how one sees the world and deals with it a sensible human fashion. In this usage it begins with knowledge of the self and the real world beyond the self. It then moves to the development of rules of action for making wise and prudent decisions about living in such a world. On the evening of March 5, 2019, the eve of Ash Wednesday and the start of the Liturgical Season of Lent, a new initiative of the Province of St. Thomas of Villanova quietly commenced in South Philadelphia. On February 23, 2019 Father Brian Lowery, O.S.A. after an extended stay in the Clinic Villa del Rosario, Rome, suffered heart failure and passed over to the Lord.